Duke Ellington’s ‘In A Sentimental Mood’ is one of the most recognisable jazz ballads. 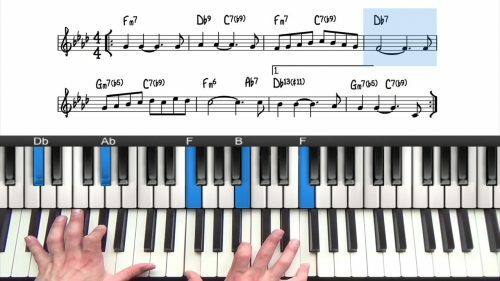 The tune is very accessible and a great standard to start on for beginneror early intermediate students. In a Sentimental Mood contains 2 instances of the minor line cliche – both in the first 8 bars. Don’t let the minor-major chords intimidate you… they are easy to play over once you understand what is going on in the harmony! We’ll be looking in depth at how we voice the chords in this common progression. There’s also bits of altered harmony which is nice for practicing upper structures. In part 1 we are going to play through the form with left hand voicings and examine the chords in the form. In part 2 we will then build some 2 handed voicings incorporating extended and altered chord tones. 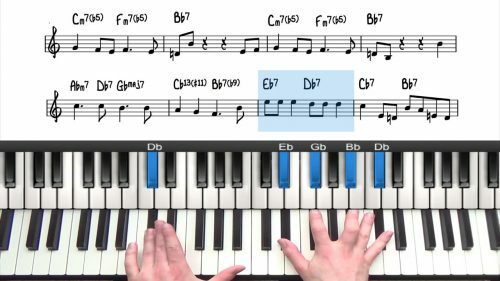 Spend some time to practice the left hand voicings covered in this tutorial so that you are comfortable with the melody and harmony. Then move onto part 2 where we will add some bigger voicings and create a fuller sounding arrangement of the tune. If you have any questions with what I have covered, jut drop it in the comment box below. We start by playing through the form with left hand voicings and then create some bigger 2 handed voicings for the 2nd time through. Sophisticated Lady is a challenging tune for the beginner. 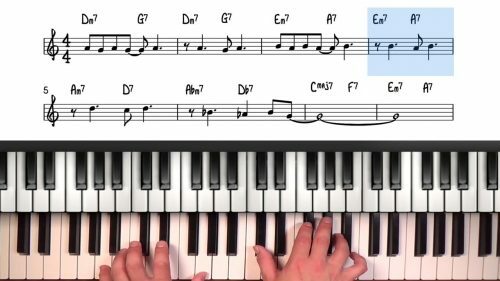 The descending sets of dominant chords in the A section are tricky to navigate at first. This tune has been widely recorded and there are many brilliant solo piano versions to take inspiration from. At PianoGroove, our favourite recording is the solo piano arrangement by Hank Jones - check out the link to the recording below. Also check out the other records listed below and remember that you should be listening to jazz every day to help you absorb the feel and articulation of the music.